218 pages | 3 B/W Illus. Football has traditionally been an institution hostile toward sexual minorities. Boys and men in the sport have deployed high levels of homophobia for multiple reasons. However, the ground-breaking research within this book shows that intolerant attitudes toward gay men are increasingly being challenged. Based on unprecedented access to Premier League academies, Inclusive Masculinities in Contemporary Football: Men in the Beautiful Game explores these changing attitudes toward homophobia in football today. Revealing a range of masculine identities never before empirically measured at this level of football, this book discusses the implications for the complex and enclosed structures of professional sport, and extends our understanding of contemporary masculinity. It also offers fresh insights to the importance of "banter" in the development of relationships and identities. This culture of banter often plays a paradoxical role, both facilitating and disrupting friendships formed between male footballers. 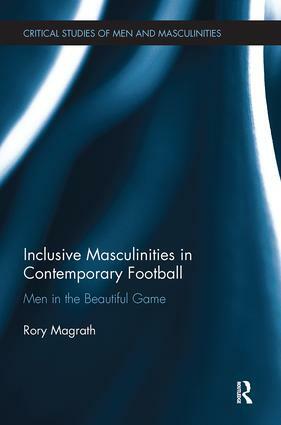 As the first title in the Routledge Critical Studies of Men and Masculinities Series, this book is fascinating reading for all students and scholars interested in football and the study of gender, sexuality and the sociology of sport. Rapid transitions related to men and masculinities are occurring across the Western world: Men are living and working within post-industrial capitalist societies; the decline of homophobia in some cultural contexts has led to profound changes in the social dynamics of men; and the internet is transforming social lives, particularly for young people. Ways to understand the dynamics of men are diversifying even as social issues related to men and masculinities persist in a range of spheres at an international level. New theoretical developments have also occurred as empirical studies shed new light on familiar topics. The Critical Studies of Men and Masculinities series will be an important hub for innovative and theoretically rich empirical research that develops a critical understanding of men and masculinities within contemporary societies. This series welcomes research monographs examining important social issues related to boys, men and masculinities, including issues related to class, sexuality, age, ‘race’, individualization, and gender relations in a range of social contexts (e.g. education, society, work, family, sport and media). Books advancing new or innovative theories to understand masculinities will be particularly welcomed, and the series will be a venue for cutting-edge empirical research. Edited books will be accepted if they address a key gap in knowledge and provide a compelling rationale for their inclusion. We welcome relevant scholarship from any country.